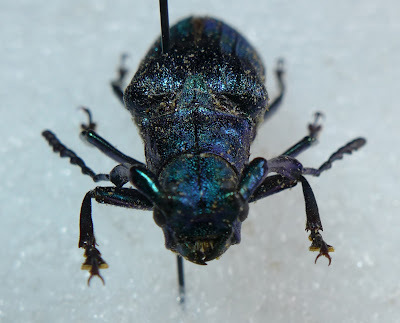 Vietetropis viridis Komiya, 1997 is a remarkable species of Prioninae beetle from Indochina with colorful body. 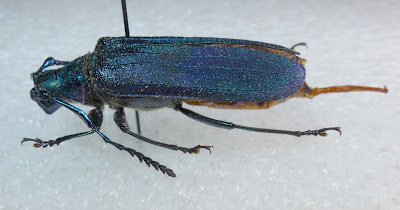 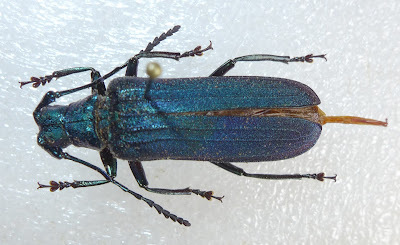 As name of the species, both male and female have metallic shining color, the male is metallic green while female is shining blue. 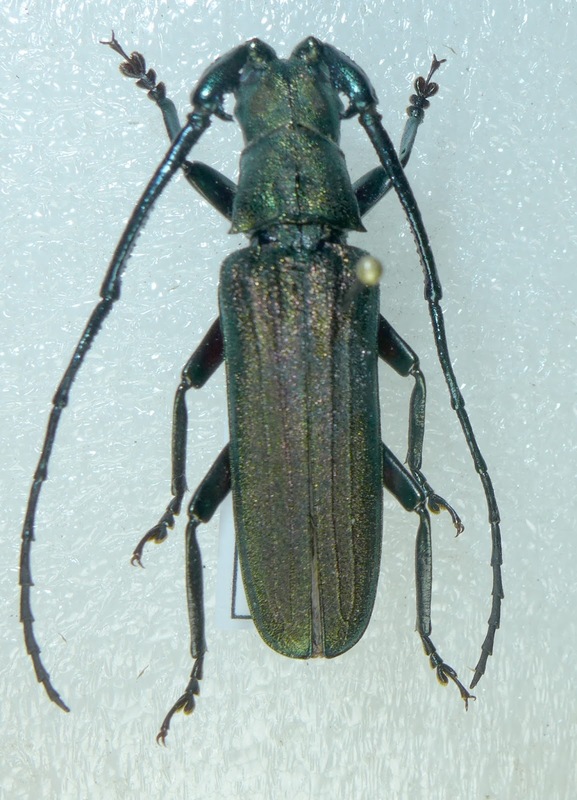 In the paper, Komiya described the new species belong a new genus Vietetropis, until now, there is only one species of the genus has been known. 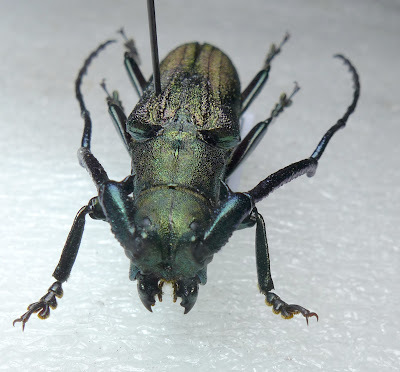 They are day-flying insects so it is impossible to collect them by light trap, the matures were found from pine forests at elevation about 700m. 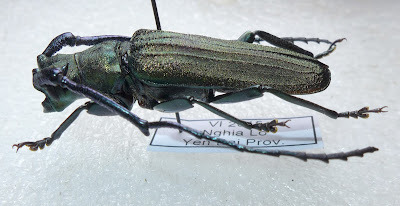 The species was described based on materials that collected from North Vietnam. The species also was recorded in Laos and south China.